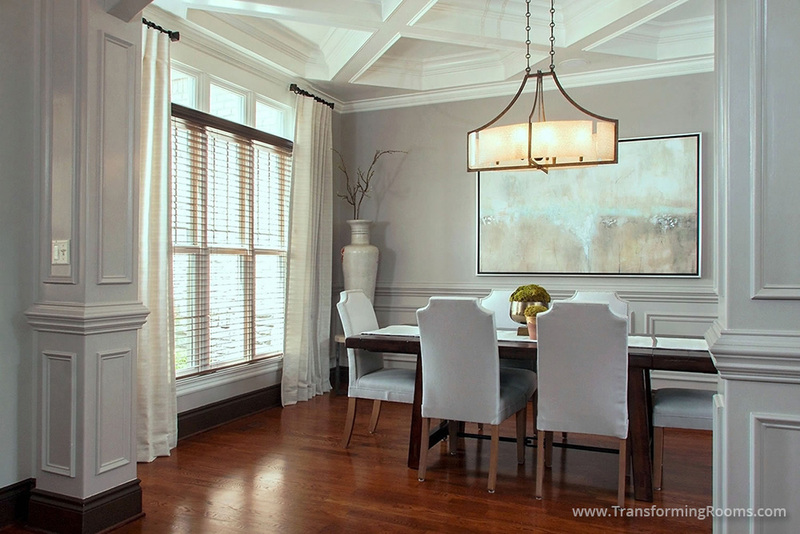 Gray paint, custom drapes, art, a new chandelier and dining chairs make this dining room feel brand new! 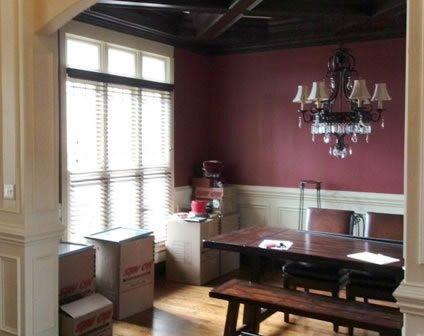 Notice we transformed this dining room without replacing the homeowner's dining table. It's thrilling to come in under budget! We are a one stop source for all your furniture, custom drapes, light fixtures, and local art, all at competitive prices!